Recently I was fortunate to be sent a copy of the Meat Free Monday Cookbook. Being Vegetarian, I have followed the Meat Free Monday campaign for quite a while. The Meat Free Monday campaign, fronted by the McCartney family and launched in 2009, aims to encourage people to go meat-free once a week in order to help slow climate change and reduce greenhouse gas emissions. Replacing red meat and dairy with vegetables just one day a week could cut an individual's annual emissions by the equivalent of a 1160 mile car journey. In the current economic climate, eating meat free one day a week is great for your bank balance and also simple and easy to do. If you are a meat eater, trying to think of meat free food ideas can often be slightly daunting and so the Meat Free Monday Cookbook is a fantastic resource. Sir Paul and a host of other celebrities have contributed recipes to the book, which features Meat Free ideas for each of the 52 weeks of the year. The book is split into seasons. Two main meal recipes, and four other meal recipes are offered for every Monday of the year, including breakfast, lunch, main and dessert ideas. An array of mouth watering photo's accompany the recipes and the food pictured does literally spring out of the page at you. The recipes included feature mainly simple, everyday store cupboard and easy to acquire ingredients and although there are a few recipes which do require a little knowledge of cookery, most are pretty easy to make and the step by step instructions are easy to follow. There is a good mix of family friendly recipes such as Macaroni Cheese, Spring Vegetable Stew, Pizza's and Risotto's and also more interesting grown up dishes such as Pina Colada and Huevos Rancheros, Linguine with Almonds and Caciocavallo and Potato and Gruyere Focaccia - delicious. Cereal and Toast is generally the extent of our breakfast creativity and so my kids loved the breakfast ideas in the book. Recipes included Fried Bananas with Pecans & Maple Syrup, Breakfast Muffins, Baked Apples with Yoghurt, and Cinnamon Crepes. 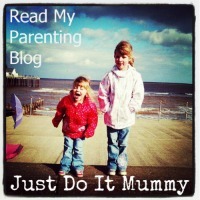 Due to the school run, I don't always have time to cook breakfast on Mondays, but I would definitely give these ideas a go for breakfast at the weekend or in school holidays. Personally, I especially loved the lunch ideas as although I tend to be quite creative with our family meals, lunch for me generally consists of egg or cheese with various types of bread on rotation. So it was lovely to see an array of different soups and salads and more interesting sandwich ingredients such as the Asparagus, Egg and Cress Sandwich. Wonderful dessert ideas are also featured each week, including Fearne Cotton's Courgette Cakes & Stella McCartney's delicious Carrot Cake. I also spied a Brownie recipe which look rather yummy too! 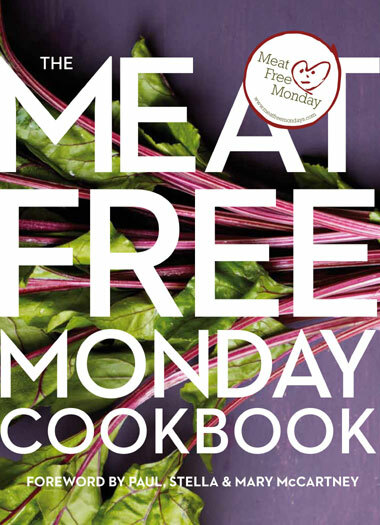 The Meat Free Monday Cookbook would make a fantastic Christmas present for anyone who is vegetarian, or even anyone who is interested in cooking in general. I honestly absolutely love this book. The best thing about it is that I can eat any and all of the recipes featured - something which is seldom possible with most cook books. I can therefore thoroughly recommend it to anyone from the beginner to the more seasoned cook. I would definitely be very happy to find this in my stocking on Christmas day. Giving this recipe book as a gift would enable someone to enjoy lots of delicious food, meanwhile helping to preserve the planet for future generations - a win win situation!!! I was hoping to find this under the Christmas tree this year but sadly it was nowhere to be seen! After your gleaming review though I think I will treat myself to a copy, an enjoyable review to read!